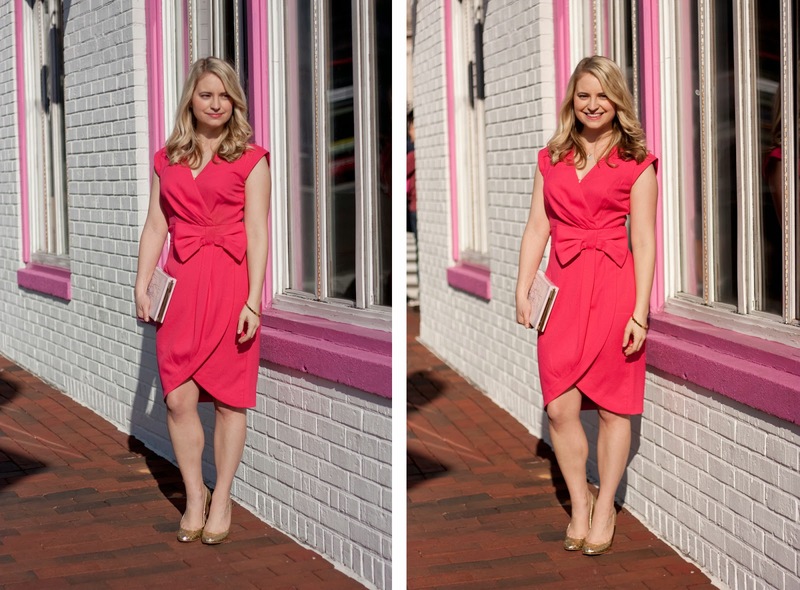 Megan: If your Valentine's Day plans include a Saturday night dinner reservation for two, the occasion calls for the perfect date night dress, preferably in hot pink. I always turn to Erin Fetherston for dresses that are feminine and charming and usually involve a bow. I've found faux-wrap dresses to be reliably flattering, and there's no dress that can't be improved upon with the addition of a glitter heel. I love Kate Spade's book clutches for a literary geek-chic twist, and this pink and gold bag is the finishing touch (well, aside from the tormented love triangle of "Age of Innocence") for a romantic Valentine's date night. 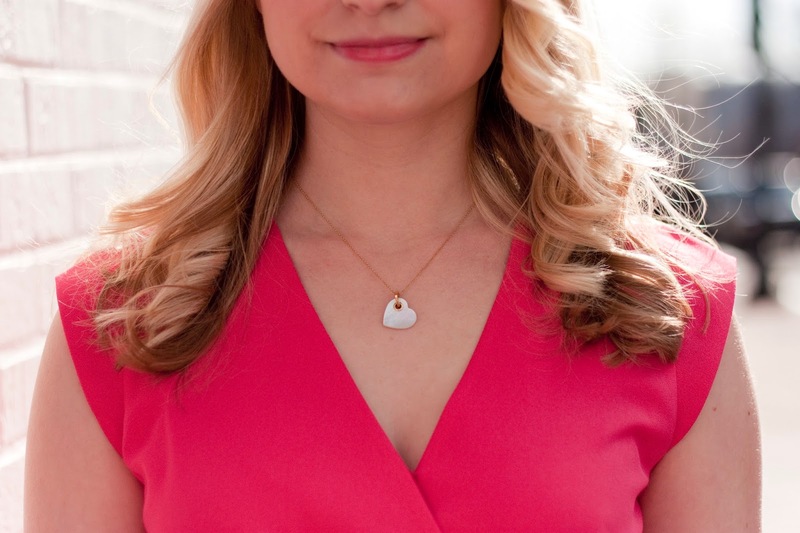 Megan: My favorite elements of Valentine's Day haven't changed much from my days in elementary school - candy hearts, construction paper cards, and frosted cupcakes. And lots of glitter. So what better way to celebrate Valentine's Day than with an afternoon of card making and cookie decorating? There are few things I love more than a crafternoon with my girlfriends, so I embraced the opportunity to dress like a literal valentine - pink, red, pearls, glitter, and some kissing armadillos. 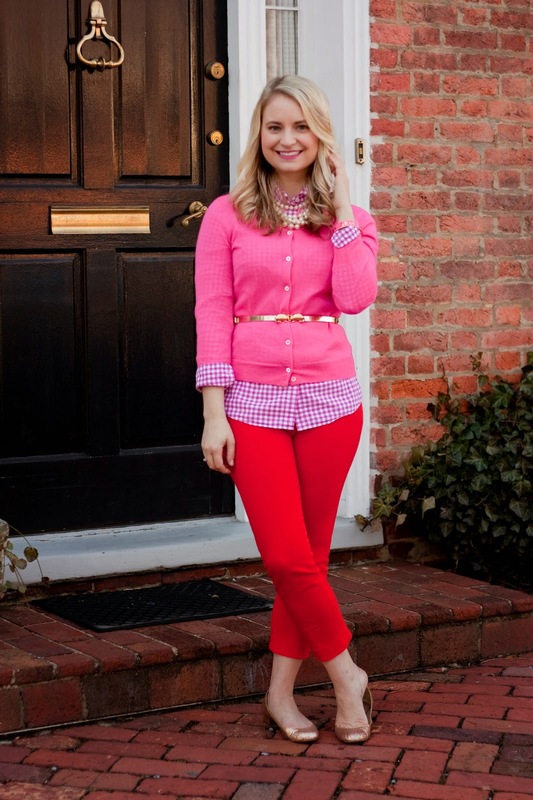 Megan: If you're staying in and sharing a cozy dinner for two, I love the idea of wearing soft, touchable texture. In a word - cashmere. 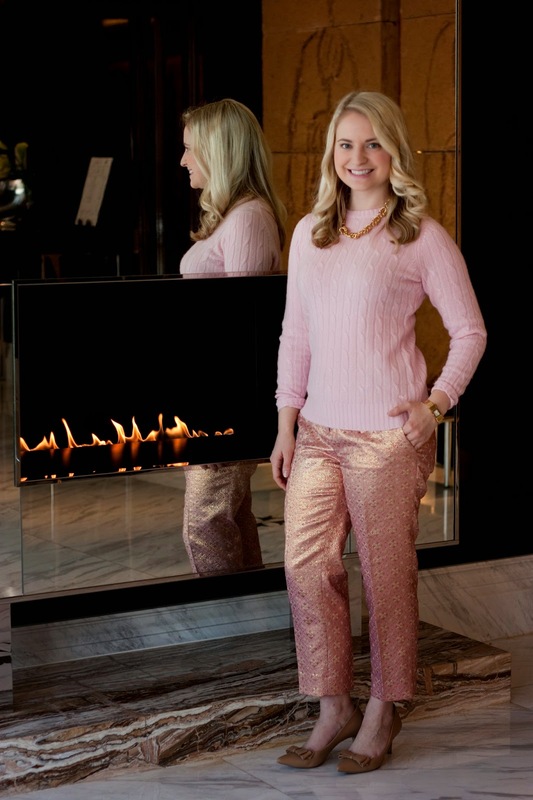 This cableknit Vineyard Vines sweater is a dream, and I love the contrast against the metallic jacquard pant. Together they feel special without being fussy - perfect for an evening in with your valentine.